Aston Martin, above all other British manufacturers of luxury cars, stands out for me just by ‘surviving’. Today Aston Martin’s health is excellent, and clearly it is now a very strong player in the niche luxury sports car segment. 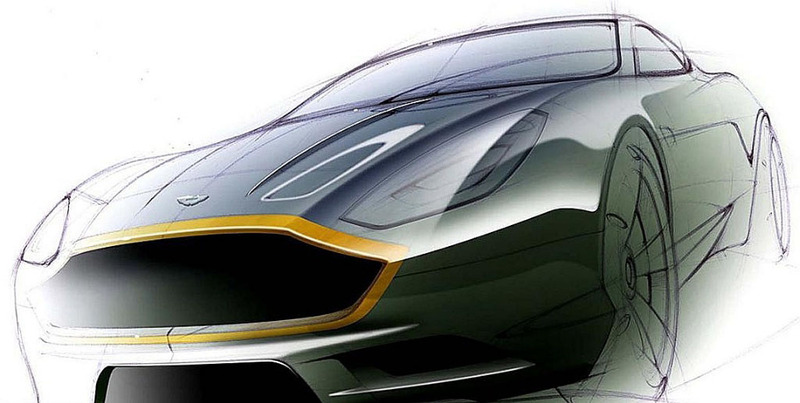 Design is, to me, probably the most important element that has guaranteed the company’s survival and as I wrote earlier we owe its modern renaissance to three highly skilled designers – Ian Callum, Henrik Fisker and Marek Reichman. 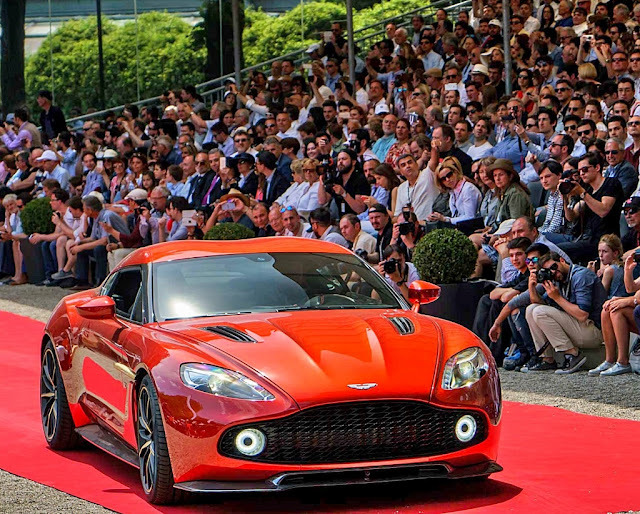 However, one of this year’s special events was the latest collaboration between Aston Martin and Zagato. 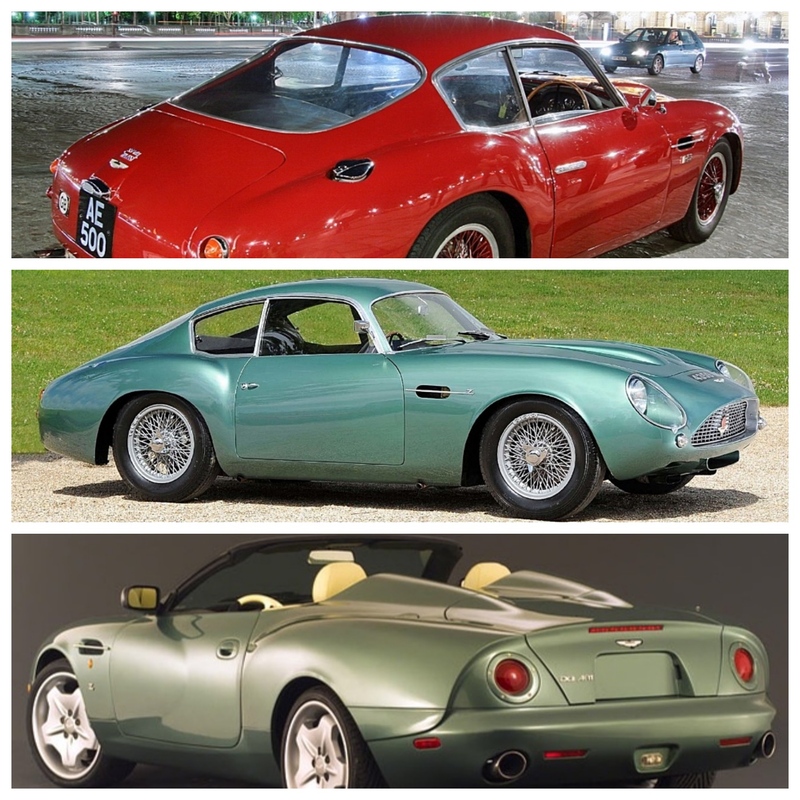 Third generation Zagato designer, Andrea Zagato, head of the Italian carrozzeria celebrated 50 years of working with Aston Martin. 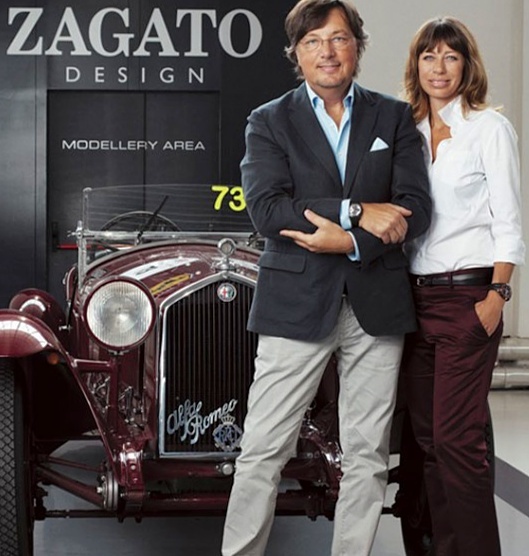 Andrea's wife Marella is the CEO of Zagato Design, based in Rho, Lombardy, 14 kilometres northeast of Milano. In May this year Aston Martin and Zagato presented the Vanquish Zagato Concept at the 2016 Concorso d’Eleganza set in the grounds of the Villa d’Este on the shores of Lake Como. 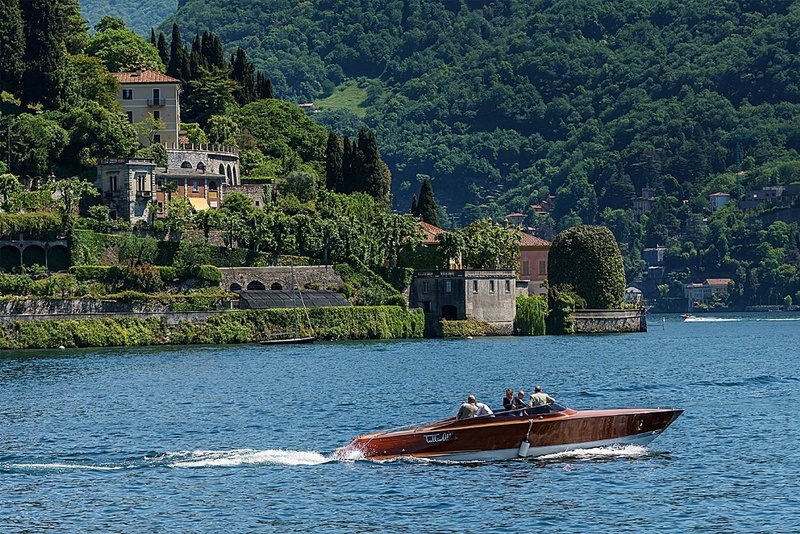 The beautiful palace and lakeside setting is an annual destination for devotees of style and fashion. 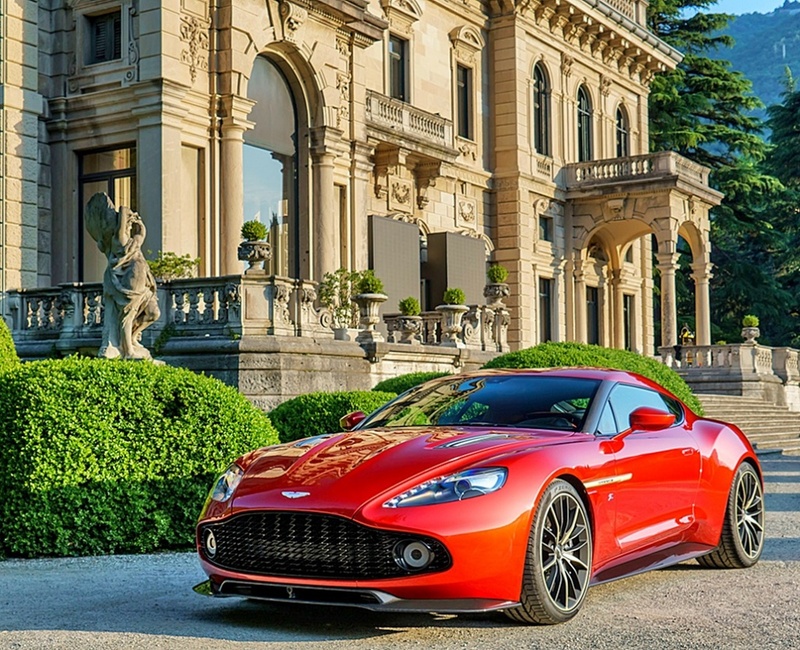 The body of the coupe is completely crafted in carbon fibre, and carries several Zagato trademarks, the most obvious being the double-bubble roofline. Only 99 examples will be built. 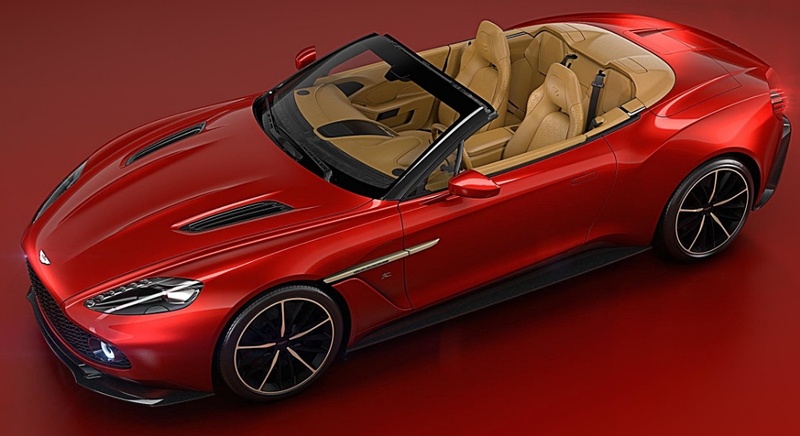 Adding to the impact the coupe made in Italy in May; Aston Martin and Zagato again joined forces to present an open, Volante version of the concept (below) at this year's Pebble Beach Concours d’Elegance in August. Once again, only 99 examples will be built and I suspect all 198 cars have by now been snapped up. Combined with the new DB 11, I think 2016 will turn out to be a banner year for Aston Martin, and I am thrilled about it!